Experience 1001 Arabian Wonders at the 17th International Youth Gathering for Cultural Exchange in Egypt! Educational Methods > Experience 1001 Arabian Wonders at the 17th International Youth Gathering for Cultural Exchange in Egypt! (WOSM Europe) – Eight months have passed since the previous International Youth Gathering for Cultural Exchange in Oman last September (read Josmar’s story to find out more about that event) and those of you who were lucky enough to be part of that event will no doubt still recall plenty of memorable moments and cherish many friendships built across cultural and linguistic boundaries. 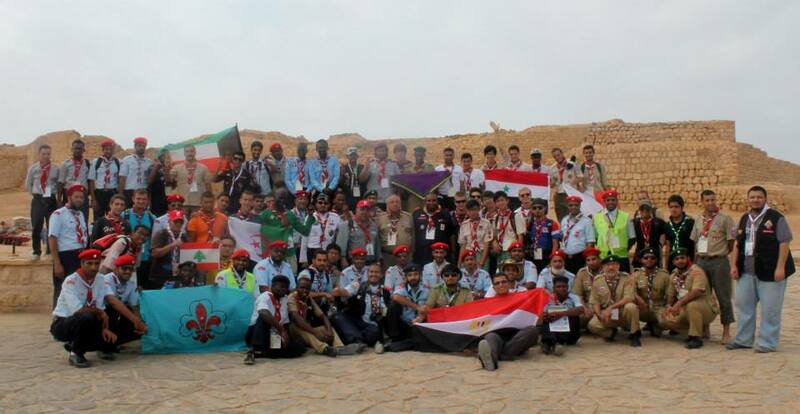 Following the growing success of similar events in the past, the Arab Region of the World Organization of the Scout Movement (WOSM) is once again inviting Scouts (18 to 22 years old, male only) to an International Youth Gathering for Cultural Exchange. This time, it will take place in Egypt from 28 August to 6 September 2014 and a rich programme again awaits Rover Scouts from around the world. – A series of excursions during which participants will explore the cultural and historic heritage of Egypt. – Participants should not have attended a previous similar gathering (the Arab Regional Scout Office will cross-check this). You are not yet convinced to spend ten days under the Arab sun? Then perhaps you want to watch Matt’s stunning video report of last year’s Gathering or read Josmar’s story, in which he relates his 1001 experiences during the 16th IYGCE, which took place in Oman last autumn!